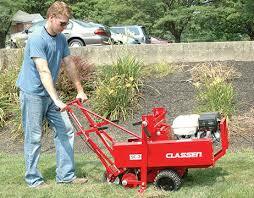 This 18″ wide sod cutter is available for rent! 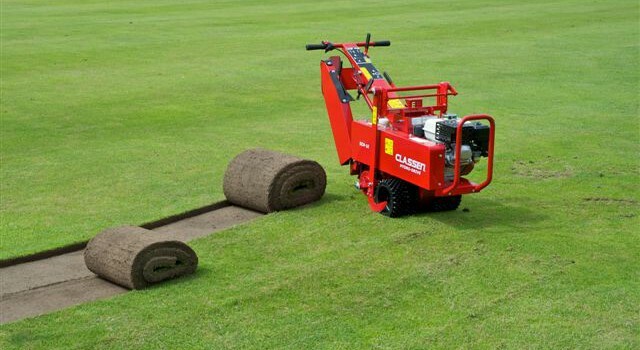 Pro Sod Cutter controls are all accessible from the operator position. Blade adjustment is quick and easy. Unit features an open design with easy access to all maintenance areas. 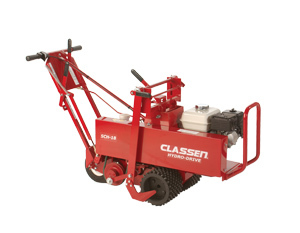 Whatever the sod cutting project – big or small, straight line or intricately shaped – the Classen Pro Sod Cutter is the right machine for the job.